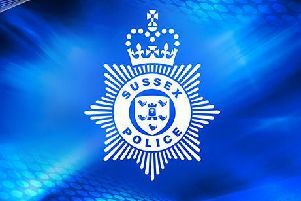 Police are searching for four axe-wielding robbers who stole two boxes containing cash from a security van crew member in Conway Street, Hove at lunchtime today (Monday, November 19). The crew member was threatened with an axe but not assaulted in the incident, which took place at about 1.20pm. The robbers left on two white Lambretta-type scooters, in the direction of Old Shoreham Road. Anyone who saw what happened or who has seen two scooters of this description in the Hove area during the morning or early afternoon, is asked to call 999 quoting serial 572 of 19/11.